Ensemble East Japanese instrument trio, will perform music of James Nyoraku Schlefer, Toshio Funakawa, and Akira Nishimura. 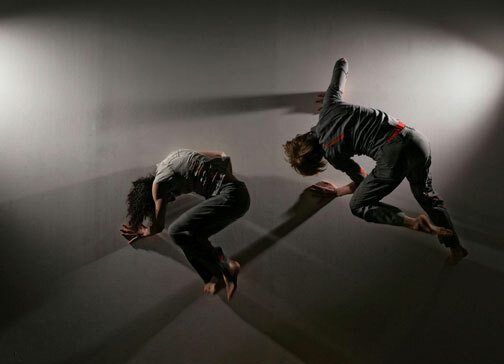 The highlight of the evening will be the world premiere of "OASHISU (OASIS)" with the PEARSONWIDRIG DANCE THEATER. The 25 minute work is for five dancers and four musicians with a new score by James Nyoraku Schlefer for shakuhachi, koto, cello and percussion. Akira Nishimura — "Threnody" and "Fantasia on Song of the Birds"
Ensemble East is a chamber music group that plays Japanese instruments: Koto, Shamisen, and Shakuhachi. The group has toured throughout the US, South America and the Caribbean, performing on concert series', festivals, museums, and at numerous colleges and universities. Each individual member has a distinguished international performing and recording career. Ensemble East performs the classical music of Japan's Edo period as well as modern and contemporary ensemble music for Japanese instruments. 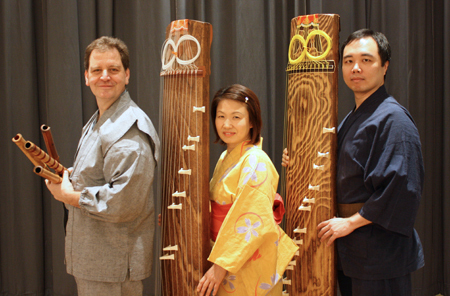 James Nyoraku Schlefer, Shakuhachi, Masayo Ishigure, Koto and Bass Koto, Charles Tang, Koto.